Have you heard of "Sluggish Cognitive Tempo" (SCT)? It's apparently regarded by psychiatric professionals as a subtype of attention-deficit/hyperactivity disorder (ADHD). Until now, that is. Medscape has reported some research that concludes it is most likely to be a distinct attention disorder, although there is notable overlap with ADHD. The researchers, Dr Catherine Saxbe and Dr Russell A. Barkley from the Medical University of South Carolina in the US, have based their findings on reviewing nearly three decades' worth of research on SCT and their own clinical experience. They're predicting that, given the evidence, SCT may "eventually be accepted as an identifiable attention disorder with its own diagnostic criteria that distinguish it from ADHD.". Writing in the Journal of Psychiatric Practice they claim that SCT may represent an exciting new frontier in psychiatry. Like ADHD, SCT typically presents in childhood. Being daydreamy, mentally foggy, and easily confused. May have symptoms of hypoactivity, lethargy, slow movement, possibly sleepiness. Children with SCT also appear to have slow processing speed and reaction times. There are no officially endorsed criteria for SCT but the researchers believe that may change in the "foreseeable future," and that most doctors who see children with ADHD have probably come across someone who falls within the parameters of SCT. First, there needs to be more research on the cognitive deficits, such as which areas of the brain are most active when the patient appears the most distracted ― in other words the researchers say, "where does the mind go?" They're also hoping that is is renamed - after all who wants their child diagnosed with something with the word slug in it? But why does it matter? If your child has a diagnosis of ADHD and SCT is similiar, does separating them with a different, lesser known diagnosis mean anything? Because SCT symptoms have not been shown to improve with stimulants such as ritalin, the treatment of choice for ADHD. At the moment it's thought atomoxetine is the most promising. Increased awareness of SCT will also enable parents to better understand their child's poor attention and tendency to daydream. That a more accurate diagnosis can lead to parents developing support networks of their own which are well known to increase awareness and help for other families. If you have access, you can read more about SCT in the Journal of Abnormal Child Psychology . If you don't have access you should be able to at least read the abstracts. Why medicate a child because they are not "ordinary"? Of course there is the argument against medicalising and/or medicating personality types that are just part of the broad spectrum of humanity, but a type that is out of the stretch that is considered 'normal' (don't you hate the word normal?). I firmly believe that many of the children with diagnoses of ADD, ADHD, Asperger's, Dyslexia and similar are our most promising and creative minds of the future. These are the quirky brains that invent, create, make us laugh and move the human race forward. It's the personality type where genius cohabits with a slice of madness; the one that's often stalked by depression and difficulties making sense of the world the confusing way it is. These are my favourite type of people, the ones I feel most comfortable with. After all, the world is only ruled by 'normal' (allegedly) people because they can think in straight lines and can organise themselves into political parties expounding rigid and often stagnant beliefs. The mad genius may join, but they will always be outsiders and stand out from the rest - and they're the ones who have the good ideas. So why would we want to medicate them or try to change them? There is only one good answer to this, in my view: so that they can survive and maybe even thrive in a society not created for them. So they can learn to focus and learn, if not understand, the rules long and well enough to to put their mad genius to good use. And this is why an accurate diagnosis is necessary, whether it's ADHD, Asperger's or SCT - so these young people get the right therapy to enable them to maybe one day, change the world for the better. Yes, I agree, but I’d also point out that for those who have ASD or ADHD and are ‘geniuses’, there are at least as many who have significant learning disabilities. My son won’t ever go to university and it would take a miracle for him to be able to sit a GCSE. He’s never going to change the world. He is unlikely to be able to go into employment, even. Where does he fit in the world? Is he less valuable, less worthy, because he will never make a contribution to society? For me, the answer is no. He has an innocence that can never be tarnished, and, although I don’t say his existence is worthwhile because it makes *me* different, he has made me a better person. In the end I say he has value because he is a human being. And when we can all say that, we make the world a better place. The post is really nothing to do with personal worth or value – who has the right to judge that about anyone? – it’s about being able to fulfil one’s potential, whatever that may be. Your son, genius or not, has already made a contribution through his impact on you and you in turn pass your experiences on to your online audience. In my book, there’s plenty of human genius in there! Of course autism doesn’t mean either RainMan or Bill Gates and every autistic person is an individual with their own potential. My point is that if a correct diagnosis and the right treatment helps that person reach their potential, then that is what we should strive for – I’m sure it’s what you do every day too. Your conclusion is spot on! Thanks for commenting! I wasn’t criticising – sorry if it came across that way. It wasn’t meant as negative towards your post. I just wanted to clarify, really, because I’ve had friends and family members who imply that my son may have value if and when he turns out to be a genius – you know, you mention that your child has autism and either they sigh as if it’s a great pity or they ask if he’s very clever. We just love him for who he is, circular conversations and weird habits and all! I think he’s lovely. And yes, correct diagnoses are incredibly helpful, because then you have something to work with. Don’t worry, I just didn’t want you to think I was being insensitive to anyone. The problem with family and friends is that they THINK they know what autism is – it’s a little knowledge is a dangerous thing. I’ve had family and teachers say, well he just seems perfectly normal to me and he’s just naughty/needs discipline/manipulating/putting it on – as if that means that I and the doctors are mistaken and they’re right. It’s infuriating when you’re already in an emotional state. I was so encouraged by your comment. I was never diagnosed but I do seem to fit the description of SCT. As a child I was different. My teachers all thought I was actually bright and I had “Very high potential” on my school reports but unfortunately my marks were usually very low…with two exceptions, I was thought of as exceptionally gifted at Art and I loved reading. English Lit and Art were my subjects. But I was always getting lost at school, never knowing which class I was supposed to be in (lol), I was always accused of daydreaming, being slow on the uptake, not being able to understand and follow simple instructions, not concentrating, being forgetful, disorganised and absent-minded and “spacing out”. I seemed to have difficulty processing information in the same way as others do, and I still have that difficulty. After I left school I went to Art college but couldn’t make sense of what was going on or what was expected of me, so I quit and drifted around, always hoping to find a job I could do. I was keenly motivated to excel, but I was always sacked after even the most patient employers realised my performance wasn’t going to improve. I ended up doing jobs that required no skills but they bored me so much I hadn’t the heart left to do them properly, so I was kicked out of thiose positions as well. Do you think there is anything or anyone who understands this condition who could advise me? Or could I help with studies of this condition in any way at all so that others may be benefitted in the future? Just now hearing about this. Interesting reading. I am so pleased to see more discussions and literature about SCT. I first discovered this “diagnosis” last year and asked my 10 year old’s Psychiatrist about it and he looked at me like I was crazy and told me that my so had ADHD. But he isn’t hyper….and the description COMPLETELY describes my son. He has been on Zoloft since age 4 (don’t judge), due to a childhood communication disorder (Selective Mutism), that is rare but debilitating. He also has OCD tendencies. 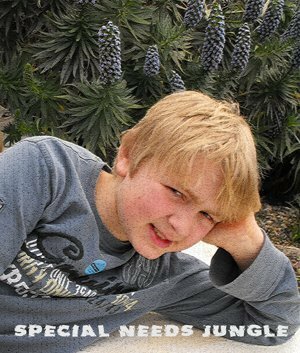 He has been cured from the Selective Mutism for 3 years now, but he just never seemed to “snap out of it”. We just couldn’t put out finger on it, but he was still different from his very early years. A new doctor took him off Zoloft and has put him on Vyvance. He.Is.A.Different.Child. Wow, in just the first 3 days, we feel like we have our son back. He is motivated, happy, more social, jumps out of bed in morning, I don’t have to stay after him to complete a task, NO BED WETTING, he is self starting (did homework without being reminded), he is nicer to siblings, courteous, and has more self esteem. No daydreaming or going off to be by himself. He just seems more “self aware”. Yes, in 3 days on Vyvance we have seen the little boy that we remember. He has been “in a fog” now for about 5 years. I pray that it lasts. Oh and by the way, his IQ is extremely high, but today he was proud of the 100 that he made instead of being ambivalent. He is not athletic, but has been a lot more active these last 3 days. Hope this info helps someone. Today I learnt of this condition…It blew me away…Why?…Because what I read sounded like me when I was young, but also now I am older I still suffer from these debilitating conditions….I hate it…I could never understand why I would be listening to a teacher one minute and the next my mind would be anywhere but where it was supposed to be…No matter how hard I would try and concentrate, it would always wonder off…..Is there any help pages in the UK?? ?…Or, I would be willing to answer questions etc to help with any investigation of this condition….I also have great difficulty finding the correct words…I know what I am trying to say, but I just cant seem to put things into words…My mum is the same so I also believe she has the same condition but has come to accept that its just the way she is….Where as I am still not happy to just sit back and let this overtake my life….I want it to stop, I want to feel normal everyday, I want to feel alive and not trapped in this mundane life….And what I hate the most is forgetting almost straight away thoughts, what I was about to say, not finding the word because I forgot it….Cant remember….I HATE IT…So, please don’t tell me its a made up condition…Its Very Real For Me!!!!! Also…I can’t seem to get my thoughts out through my mouth!!! It is extremely difficult to find the right words to explain what I’m thinking..
Just writing this post has been mentally exhausting!!! Wow. I can relate to the comments about knowing you have potential that hasn’t been fully realized, trying to focus but ending up “somewhere else”. I have this horrible driving habit (not as bad now) where I would tell myself to focus and concentrate so that I won’t miss my exit. And then I would realize a few minutes later that I missed my exit because I had gone off in my mind about how I was going to resolve this driving problem; my spontaneous problem-solving distracted me from taking the exit! I often laugh at myself (which I personally think isn’t a bad thing) but the people I am with get frustrated. I consider myself to have moderate SCT. I have trouble finding words too (could never be a talk show host) and I am actually quite happy in my world. It’s everyone else that isn’t as happy with me. (I’m not one of those naturally jovial people; I just have a certain sense of inner peace even though the outer world isn’t perfect.) One thing I do have is the ability to be very philosophical and (in it’s right place), it’s helped me solve a lot of challenges. I also am a person of faith so that’s actually the main reason I haven’t gone nuts! I’m not happy with having SCT and would love to get rid of it (and not with prescription drugs, personally – just my preference). But I do know some of my strengths. One of them is being extraordinarily patient in allowing myself to reach the next level of where I want to be (in reaching my dreams). I personally see the progress whereas those around me (including most of my family) don’t. As long as I know and remember that what I am doing is ultimately to reach my dreams, then I can see the progress and focus. I try to use “hyperfocusing” (not sure if that’s part of typical SCT or just ADHD which I don’t feel I really have – other than being able to hyperfocus sometimes) as, I guess, an asset. So when I can, I take advantage of that ability. I also have developed a Guide (not a schedule that HAS to be followed rigidly which can be boring and not give room for Momentum) where I block out my time in “segments.” What I did first (and I began doing this waaaaay before I even thought about possibly having some form of ADD – I only knew that I was having trouble with my sense of time) was write down all the important aspects of my life and things I needed to do on a daily basis. Then I blocked out chunks of time that worked with my life (ie: time to get ready, morning work time, lunch time, afternoon work time, after work time, time for cooking, time to organize my mail/bill/money, time to learn, time to get ready for bed). I don’t write my schedule minute to minute (except for my getting ready time because that is the most difficult and I tend to forget something that throws my life off – like if I don’t spend 10 minutes to tidy up every morning, it makes things more disorganized). If I keep up with it daily, I actually am so caught up that I have nothing to do some days in that segment of time. But realistically, I don’t do everything every day, so it just helps keep maintenance in my life. I’m writing this for anyone this may help. I hope others write their tips, too, because I want to learn new things to incorporate into my life. Another thing that I think is important is not to try to do too much or to rush – I know that makes me slower but I am absolutely UNPRODUCTIVE when I try to do too much (or to make unrealistic goals for myself). In it’s place, I have Quality. And personally, quality is very important to me. I am trying to find ways to make more progress without losing quality. a) the guide brings me much peace in a day because I know what I’m supposed to do during the day, and also, I find that I don’t have time to be distracted by depressing thoughts or even to mull over people’s insults, etc. – indulging in those things only makes it more alive). From the start, it brought me peace. b) momentum is important. the problem with a Guide is that it’s great for maintenance and peace, but there a time that you need to have momentum, particularly in the things you dream for, and you can’t exactly plan that. You also can’t live off ONLY on momentum as your life then gets disorganized. I’ve tried it. And unfortunately, you can’t plan momentum. But, you CAN at least put on your Guide time for pursuing your dreams, and be FLEXIBLE with balancing your daily schedule with momentum (inspirations). c) make realistic goals that fit into your schedule – I don’t make mine too stressful (which feels like self-harrassment when you can’t keep up but really want to carry out what you’ve set as goals!) and when I do make them realistic, considering the other things I need to do in a day or week, I often find I exceed what my “self-harrassing” goal would have been. As a child, I remember being very disorganized and it was driving me crazy. In 4th grade, I remember sitting at my desk at home and deciding this can’t continue. So I slowly took one article (paper, knick knack, toy, etc.) and one by one I decided what I would do about each one. In doing this, I’ve kept the things that were important and I can’t tell you how many times I’ve thought I might have thrown something away that I shouldn’t have and then actually found I still had it because of my careful way. Before that, I often threw things away in haste only to regret it. So if that helps anyone too – to take things one at a time…. I guess what I’m learning is to accept I have this condition and work with it, using the strengths I do have. I apologize how long this entry is but I was looking for forums to help my SCT – looking to see how others are positively coping so that I could get some ideas for myself. But I haven’t so far seen any tips so I thought I’d share mine. I actually HATE entering forums because the last time I did (for a totally unrelated subject), a couple of people misunderstood my point (granted, I could have explained it better had I known people would LOOK for negativity) and so I choose to keep out of them. But I do think this is important. I want to be RID of SCT – so please don’t think I’m being smug because I have found ways to cope. Everyone in life has some sort of challenges – even if they have no cognitive conditions. The longer I keep with my dreams and goals, when I look back over each year, I can see how much progress I’ve made through my setbacks. So no, life isn’t perfect now, but I TRY to live with excellence (I like how Kurt Russell says about his life, “You sometimes fail from day to day, but you just keep trying and hope that you succeed.” <– that's paraphrased) because I love quality. And if quality isn't your particular thing, your particular bent, then I'd say work with whatever passions you have. I know there are people who want to find a proper prescription drug. Every case is different. Like I said, for me, I don't want that. And people can have varying degrees of SCT. And someone else with moderate SCT (as I believe I have, based on taking an online test and also jugding from my experiences) may have a different set of abilities. Oddly, people call me organized but that's because I work at it. And I work at it because I LIKE to organize – and ironically, if I DON'T organize, my life falls apart. Humm…. Well, I hope this helps SOMEONE! It was actually helpful to me to think this through "out loud" too. If there are any negative comments, I MAY address them if I feel it's important. This doesn't seem like a negative forum. But if you're looking to pick a fight (or anything along that line), I'll respectfully exit. By the way, I don't mind genuinely constructive comments. It's just closed-mindedness that I have low-patience for. We are all human beings; and lack of compassion is absolutely unnecessary and a waste of everyone's time. Thanks for your comments and good luck. However, this isn’t a forum, it’s a blog and you are writing in the comments section. It is closely monitored and pre-approved before comments are published so we don’t allow negativity or hurtfulness. If you DO find a forum for SCT, please come back and let us know as I’m sure many families would be grateful. Hi Tania Tirraoro….I have found a Facebook Page under the same name….But thats it….